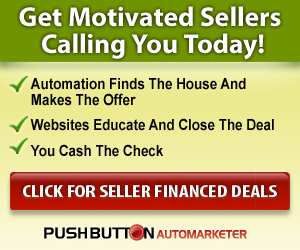 How can the “Push Button Automarketer” help get you the leads you need to make money in real estate? 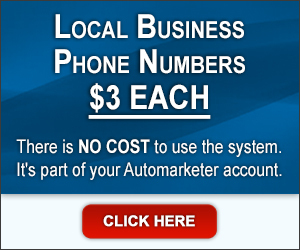 The Automarketer, autoresponders, email blasts, voice blasts, etc. – I’m going to explain how you can use all of these to get sellers to call YOU and accept your offer without even having to talk to them beforehand. Joe: Remember, you have to target your advertising to the lead that you have so that it makes the most sense for them and solves their problem. They’re not interested in going to a general website that has 12 different options. You have to make it very specific towards why that lead is being directed to that site, otherwise they’ll leave your site immediately. If you look at my websites, most of them are designed not as portals to take you to a bunch of different places but as an answer to a specific problem for a specific advertisement or a specific lead that I’m driving to that site. Joe: I don’t want them going off to some other sites. I don’t want them clicking on Google Adwords. 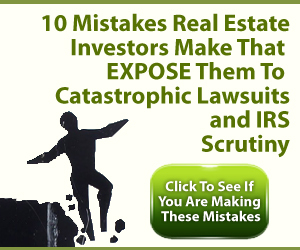 I want them to stay on my site and read my letter with my information, finding out about my house, going through the process that I’m trying to get them to go through in order to try to sell them a house, help them buy a house, and in my case, sell them information about real estate investing; any of those things. Joe: It’s all the same. It doesn’t matter whether you’re selling plumbing or a real estate investing information or real estate itself – it’s all the same concept in marketing – in direct marketing, you focus on the thing that they’re going to do. Joe: This next web page that I’m going to show you are for people who you’re trying to work with in the “For Rent Method”. This is a seller’s page where you drive people who are trying to get their houses rented or you drive people that are for sale by owner. I have some great techniques to get people to go to the site. They don’t go automatically – just because you have the site up doesn’t mean that they’re going to go to the site. You have to drive traffic to it, and you have to try to drive specific traffic to it with specific words and advertising to get them interested enough to look at the website and to read it and in this case, listen to the audio. Joe: What we’re doing on the “For Rent Method” we’re marketing to the sellers is that we’re giving them an audio that explains to them how we work and how we fill their property. It explains to them that it costs them no money to work with us, we’re paid completely by the buyer and that it’s easy for them to set it up. It also builds our relationship with them. It builds our credibility with them and it shows them that we’re not just some fly by night guy who watched late night TV and learned how to do this stuff. It gives them confidence that we know what we’re doing. 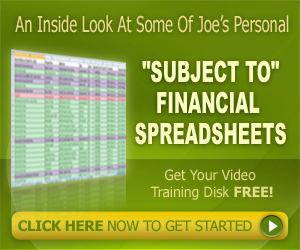 Joe: On this site, there’s an audio. It’s my voice explaining how the program works. Below that, there’s text that explains essentially the same thing. Then, there’s a form for them to fill out with some questions about their house, asking them how much they want for the house, how much they want the rent to be, etc. Joe: Once it explains the entire For Rent Method and how we work, it asks them to fill out this form. When they fill out the form, it sends us an email, and when we get it, we know, without fail that we will get 100% of those sellers to sign up with us and to work with us; we’ve never had a problem that would cause that not to happen. I suppose if you’re a complete moron and you don’t answer or return their calls, there is a possibility that you’re not going to get it, but every time we’ve called them back and we’ve sounded halfway credible on the phone, they’ll sign up with us. Joe: I have people that are brand new at this so they don’t sound all that credible because they’re still learning the process, but they still get the deals because this is a great way to qualify that lead before it gets to you. Now, granted, a lot fewer people are going to fill out this form, but the people who do are going to be a lot more qualified. 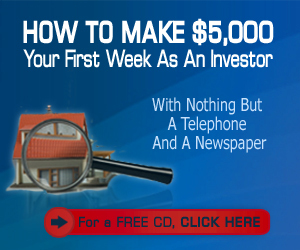 If you’re just getting started, you don’t want to get all of your leads through this because you’re not going to get enough of them, and, you want to be good on the phone before you start taking these leads because you want to be able to bang them off when they come in. Once you automate the process and you start using the website, then it’s going to be a lot more exciting. Joe: I know I showed you the ‘We Will Buy’ site for the ‘We Buy Homes’ ads. I’m not going to show you this site. It’s more proprietary. I want to keep it focused mainly for the people in my mentor program and the people who do my Push Button Method program. But at least I’m giving you an idea of how it works. If you don’t want to get involved in my program, that’s okay – you can still go out and create your own site that’s similar to what I’m teaching. I’m telling you it’ll work – it’s a very powerful way to do it. 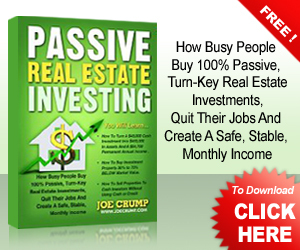 Joe: It also puts them into an autoresponder so that if they don’t buy from you, it’ll start sending them emails once every three weeks saying, ‘Hey, I’m still interested in your property. Please give me a call.’ You can stop that any time. If they do start working with you, you just click a button and it stops that email from going out all the time. Joe: That then takes us to the next video, which I’m going to talk to you about. That puts them into an autoresponder that sends them an email out every week and tells them what you’re doing to find buyers for the properties. It educates them about the process and how you’re doing it. It talks about pricing, which is the main key of that thing. Joe: There are two main reasons we’re doing this: one is that we want them to know that we’re still on the job, that we’re not just, again, fly by night – that we’re credible, that we’re paying attention and that we’re doing something. Joe: This is without us having to do a thing – it’s all put into the autoresponder so it automatically sends them an email every week letting them know that we’re doing more stuff. 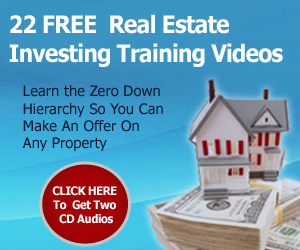 It also talks to them about price; that’s the second most important thing – if the property is marketed the way that I teach and it doesn’t sell, it’s because of price. 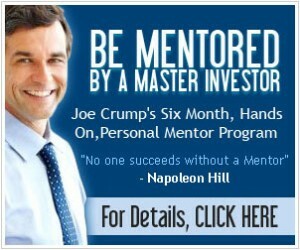 Joe: You want your sellers to understand that, so you start talking to them by the second or third week about pricing. If it doesn’t sell, then we should talk about the pricing and then the third or fourth week, it starts educating them more about why pricing makes all the difference. 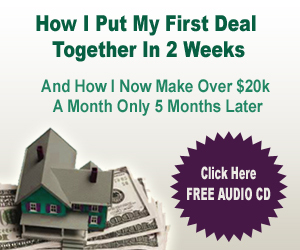 This whole series of emails that I’ve already written (this isn’t something that you have to create – this is something that I’ve already written that we use and its part of the mentor program and the “Push Button Method”) – when you set those things up, it makes it very easy for you to convert those types of leads and to keep them on. 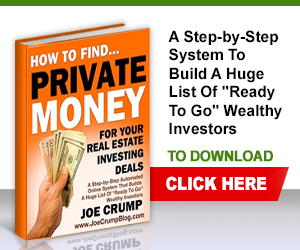 Joe: I learned this process from when I was a realtor. I was a realtor way back when. I was one of the top realtors in my city. To be a good realtor, you have to do a lot of listings. You list properties all day long and you put them in the MLS and if you price them right, they will sell, but if they’re not priced properly, then they won’t sell. Joe: I knew that that was a problem because the sellers would start cancelling their listings on me, and I was losing a lot of listings. I had a lot of them to lose, and I was losing a lot of them. I didn’t want that to continue. Again, I didn’t want to call them. I didn’t want to talk to them. I didn’t want to waste my time doing something that’s not going to be productive and not going to make me money. Joe: After about two months, I’d get a phone call and they’d go, ‘Hey, Joe’ (and I’d go, ‘Oh no, I think they’re going to cancel the listing on me’) – ‘You’re right.’ ‘Right about what?’ – ‘I think it’s time to lower the price.’ – ‘Oh alright. $5,000 or $10,000?’ Then, we’d lower that price and get the property sold. It would serve them, it would serve me, it would serve the buyer that came into the deal and everybody was happy through it. And I didn’t have to do any extra work; all I had to do was set it up properly so that it was automated. Joe: That is what these websites do. That is what autoresponders do, and when you get involved in my program, these are the things that are included in it, and you can use them immediately. Alright, I hope that helps. Bye, bye now. My question is about speaking with seller leads, generated by your system. How effective can a student be working this “for rent method” system if the student and seller are miles, counties or even states apart? Is a seller going to want to do paperwork with a guy in California if they are across the country? Also, if the student is going to sell the option to someone out of state where the property is, does your course address the questions and objection and specifics of how to do that and have both parties comfortable and covered with the transaction, paperwork and exchange of money? Most of my mentor students start out in their home town because sometimes it’s easier to do deals if you are face to face with your sellers. But once you learn how to do this on the phone, without ever meeting the buyers or sellers, there is never a need to stay local again. That doesn’t mean you shouldn’t, it just means that you now have a whole world opened up to you where you can market and expand your business. I have students who are doing this in 8 different states at the same time – all from their own home. My mentor program shows you how this is done, gives you the ads you need to hire people to help, shows you how to automate the entire process and teaches you how to actually build a business around your life rather than your life around your business.